Cricut users are passionate people. But even we were blown away by the enthusiasm and selflessness of this Cricut user and her team. Since 2009, Jody McNelis and her dedicated volunteers at Crops of Luv have been creating scrapbooks for children facing critical illness. 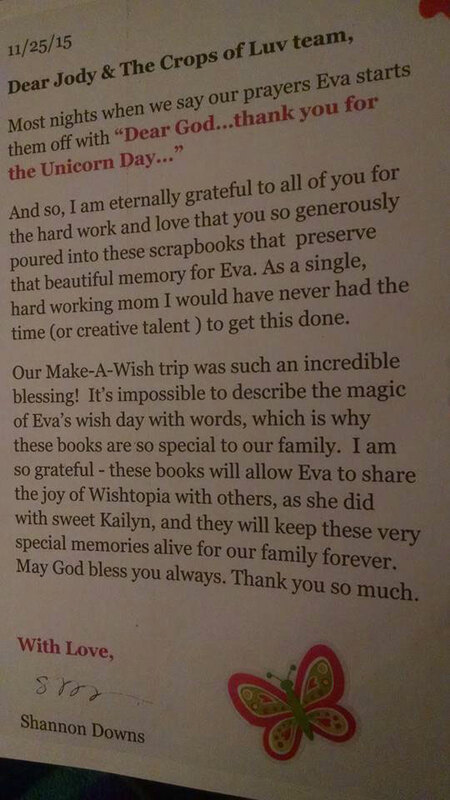 Using their Cricuts to assemble amazing embellishments, these gifts of love document a wish come true and special memories. Their impact has been truly profound. Tell us a bit about yourself and how you started using your Cricut. 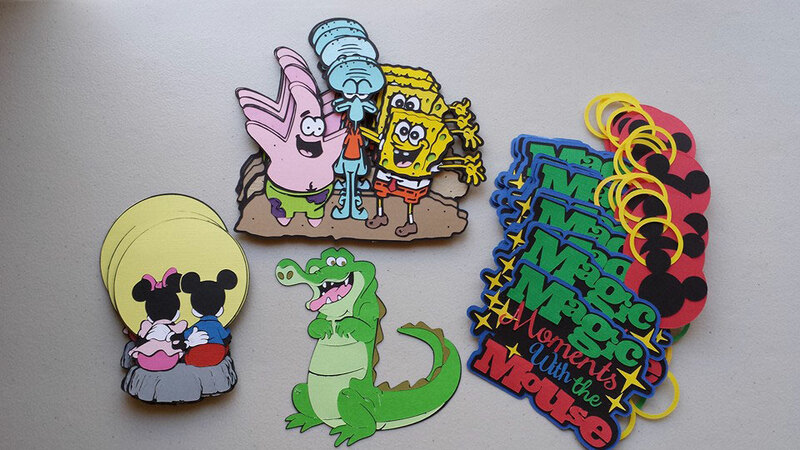 I have been scrapbooking since 1997. I got my first Cricut because I refused to let a friend pay me for making three albums for her mom’s 80th birthday celebration. She told me that I couldn’t refuse a gift, so she bought me a Baby Bug. It was the reason I knew I could actually start Crops of Luv, because I would be able to make anything we needed for the wish albums. What was the inspiration behind Crops of Luv? How did the Cricut come into play as the non-profit took off? Crops of Luv was inspired by an album I made for a colleague whose granddaughter was granted a wish. I was already an avid Cricut user when I started making her album. We did over 400 pictures for this album and made 90% of the embellishments and titles with the Cricut. Now we stock enough Cricut embellishments to make over 345 albums a year and we have a Crops of Luv “Cricuteer” group who make embellishments non-stop to keep us in stock. We’re constantly telling anyone who asks that the Cricut Explore is the only way that we are able to continue to afford to make the albums we make for free for these families. What was one of the most memorable experiences you’ve had with one of your Cricut Crops of Luv projects? I think our recent retreat is a great example. We had two books that required special embellishments that we didn’t have anything for. There was nothing in the Cricut library we could use...so we had to find ways to make our own. One book required embellishments for Bert from Mary Poppins and another book was a wish to go to the World of Warcraft comic-con in California called BlizzCon. We were actually able to replicate items from the game as embellishments for the album. They both became works of art. They were complete collaborations with the entire group at the retreat. 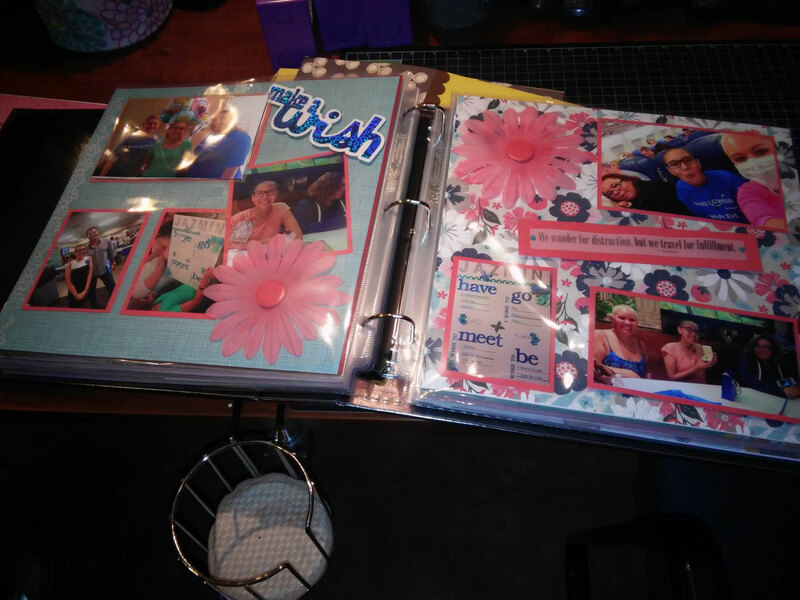 What has been the community response to the Cricut scrapbooks? Most of these families are just so grateful for the albums because they do not have the time and resources to do this themselves. 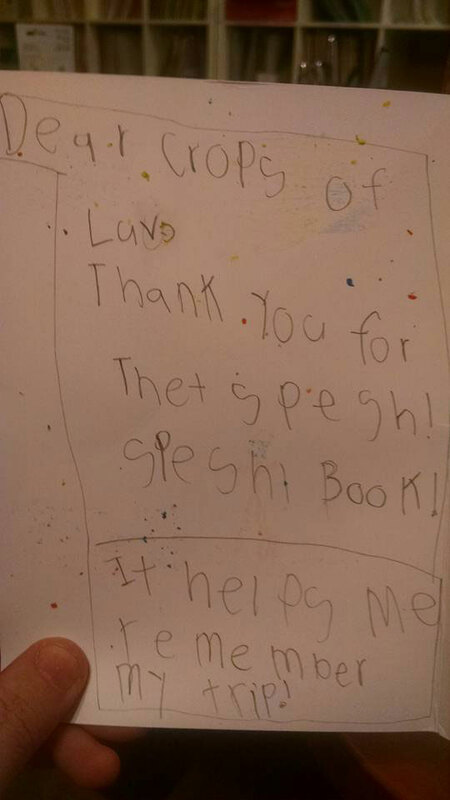 ...and a note from an excited recipient. What do you envision for the future of Crops of Luv? 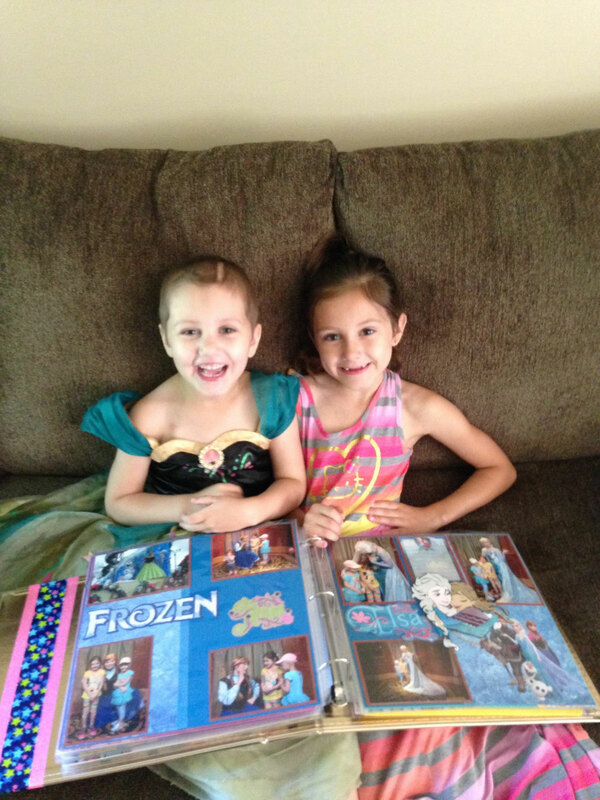 We are looking forward to expanding Crops of Luv to the point that every wish child receives a book. 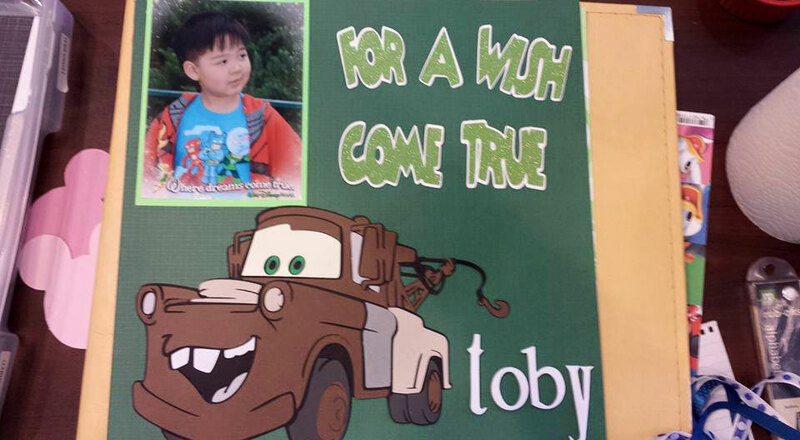 Last year, over 22,000 wishes were granted worldwide. We hope that we’ll one day have our own space that is NOT in my home. Some day we would like to have enough funds to be able to do this full-time without worry! 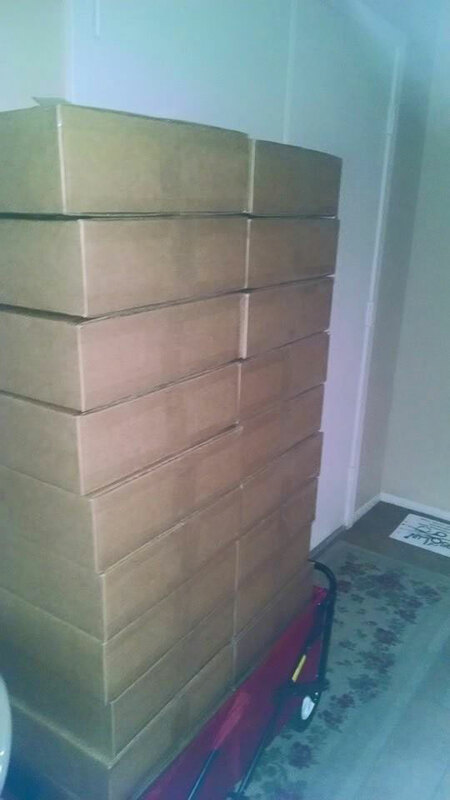 A typical album shipping day. Another 22 families are about to be VERY happy. Jody and her volunteers have DIY spirit that we all aspire to. We’re so honored by Cricut’s part in their efforts and wish them many happy scrapbooking events to come! Want to learn more about Crops of Luv? Check out their Facebook page. Show off your sensational scrapbooks with #CricutMade and tell us about them with a comment below! We are honored to be featured on the Cricut Blog. If you want to participate, please send a message to our Facebook page. is there a crops of luv in Los Angeles that I could volunteer it to help make albums? 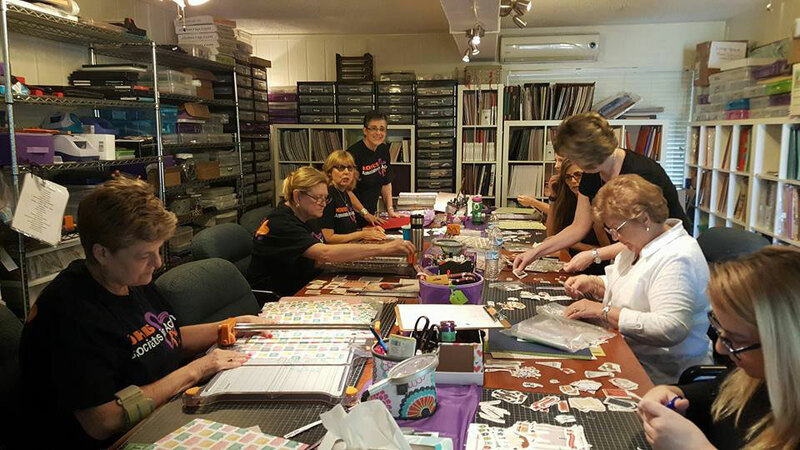 No we are based in the Phoenix area .. but … we have many “satellite” volunteers who create and send us embellishments and page layouts! As a Crops of Luv volunteer I just want to say thank you for the wonderful article! You have captured the essence of what we are all about! Hopefully this will encourage some other Cricut users to want to volunteer for our organization. As we continue to grow .. we do need more and more embellishments. For those that like math .. 345+ albums a year … a minimum of 15 double page spreads … each spread has one title and at least two embellishments (Cricut cut) … then other embellishments (ribbon/flowers/bling) .. and you can see that is a lot of cutting! We’d LUV to have you help us! Please check us out with the above links. I have the pleasure of being involved with Crops of Luv from the beginning, not only is Jody my sister but I am on the board. Crops of Luv gives to much to the book recipients as well as the volunteers. We could not do what we do without the support of Cricut and other sponsors. My mother and I have worn out MANY machines with the embellishments we have cut and put together for the books. Please come and check out what we do and consider helping out. What an awesome group. I am so inspired by your generosity and commitment that I can’t wait to use my Cricut Explore to help! Thank you for this great article about a wonderful group. I have been privileged to be part of this awesome group of volunteers for several years. I do not have a Cricut, but I do help to put the embellishments together. These embellies make such a spectacular impact to the pages of these books – augmenting the wonderful photos that allow these books to help the families relive the memories they made together. Hopefully, we can garner more volunteers who can assist with making embellishments, page layouts, and books. Come join us in this fulfilling endeavor. After read your article, I would like to prepare an album of my neohew’s life for his parents. We just lost my nephew last month after only being diagnosed with lung cancer five weeks earlier. How could I prepare an album of my neohew’s life for his parents. I am sure that there are so many other families in the same situation. Do you have a Crop of LUV branch in Michigan? I am a beginner but would be interested in helping. hi there, do u have a crop of luv located in Illinois. I would like to help out.